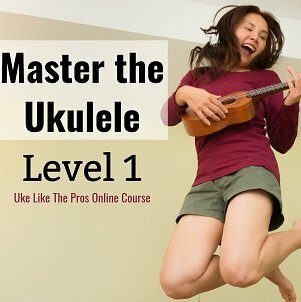 So, you’ve just purchased yourself a ukulele! Congratulations on being the owner of such a fun, fantastic instrument. Though you can store your uke inside a case or bag, there are some times when you want to have it close by, or even on display. Whether you’re looking for a lovely ukulele display stand or a simpler folding stand for easy access while playing, you’ll appreciate this selection. 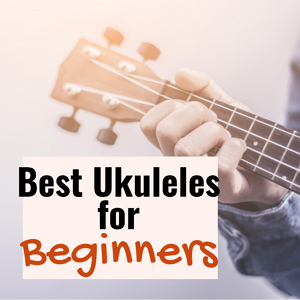 We have analyzed dozens of Amazon review to help you find the best ukulele stand for your needs, along with some quick tips for making a choice you’ll be happy with. Considering Kala’s reputation for crafting beautiful ukuleles, it’s not at all surprising that this stand offers plenty of aesthetic appeal, plus versatility and utility. 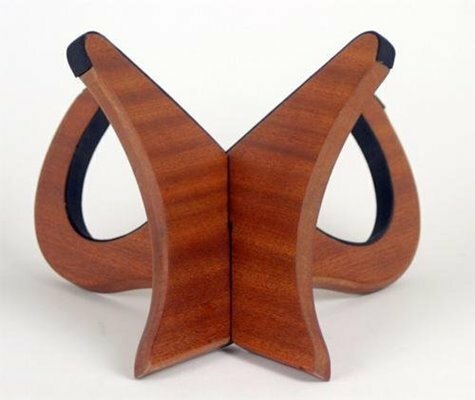 Sleek, stylish, and finished in a warm, brown tone, this ukulele stand folds up to fit inside a gig bag, and it offers reliable support for your instrument. The Kala mahogany ukulele stand is designed to fit all ukulele sizes. The instrument sits nicely in the stand, and doesn’t feel “tippy” at all. This ukulele stand is pretty and functional. 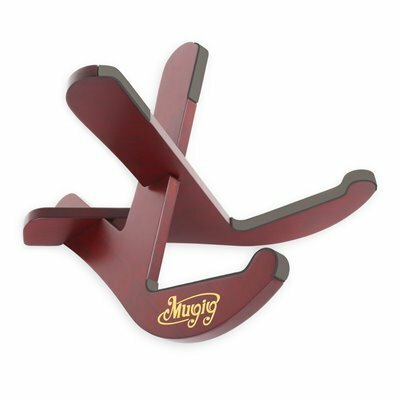 The Mugig musical instrument stand is a great choice for anyone who plays multiple instruments, as it is sized to fit a variety of stringed instruments including smaller ukuleles. Made of high-quality wood, it features thick, anti-slip padding on the cradle, preventing scratches. The pieces store flat and fold together, no hardware needed. This stand fits right into my bag, and is easy to bring along. The cherry wood finish is just beautiful. Very sturdy, holds instruments safely. Holds guitars and ukuleles, but best for lightweight instruments. Heavier ones have a tendency to tip. The Hola! 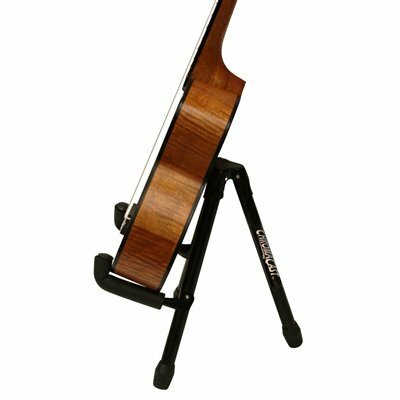 Portable Stand for Small Instruments fits a variety of small, stringed instruments including ukuleles. A soft silicone cushion covers all the stand’s contact points, preventing scratching, and non-slip feet offer additional stability. 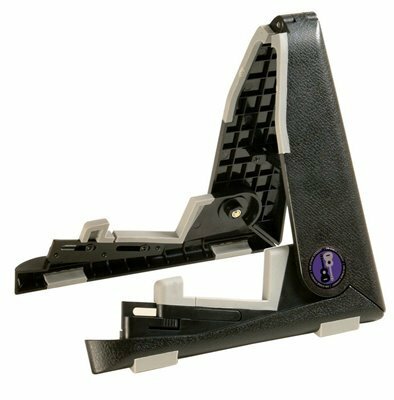 This stand folds up into a compact shape for easy transport inside a backpack or gig bag. This is a no-nonsense ukulele stand that holds my concert uke well. Very little of the stand actually shows when the ukulele is in place. This stand weighs next to nothing and folds up to stash in a bag I use for taking music sheets along with me. If you’re looking for a metal ukulele stand, then the ChromaCast CC-UKE-S is one worth considering. 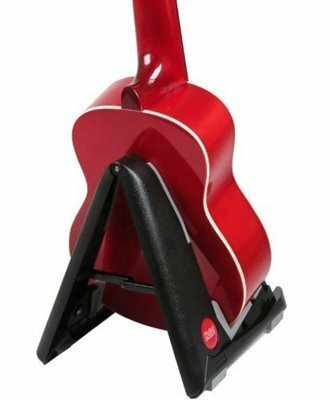 The stand opens up into a sturdy base for your instrument, and then folds completely. Snap lock legs and padded arms help this stand cradle your ukulele safely. This stand is suitable for soprano ukuleles. Very light, and it folds up small. Cheap price is good for anyone on a tight budget. Easy to use, and it beats laying the ukulele on a table or chair. If you’re looking for a low-cost ukulele stand, you might like this one. Although it is made of plastic, it features rubber on all the contact points, plus non-slip feet for stability. It offers an adjustable depth setting, so you can use it to cradle different instruments as needed. The entire stand folds up into a compact shape, easily fitting into a backpack or gig bag. This stand is lightweight and easy to take along. I’ve put all different sized ukuleles in this stand, and all of them fit well. The stand is sturdy, and it has a small footprint. Appealing Appearance: There are quite a few types of ukulele stands, and some are more attractive than others, with prettier wooden models often costing a bit more than very basic metal ones. You’ll be looking at this ukulele stand (and so will your audience) so be sure that you like its appearance. Portability: If you want to take your instrument along, you’ll probably want to carry your ukulele stand with you, too – especially if you plan to perform alone or with a group. Look for a stand that folds, or that is not too bulky to pack up when you head out for your next gig. Stability: Your ukulele stand keeps your instrument safe by supporting it while you’re not playing. Choose a model that offers stability, and you’ll prevent damage. Size: Some stands marketed as ukulele stands are actually guitar stands – and though there are many that will easily accommodate your instrument, it’s best to double check measurements before committing to a purchase.